Nice? No, tragically not this time. Before we begin this, we feel it is almost our duty to say with a heavy sigh that it even needs to be explained that gender has been scientifically proven to be a spectrum, and gender identity is a malleable thing because the signifiers of gender are a societally issued matter that we are overdue to examine. Age is less malleable. Age is us being pinballed through time by the unseen hands of a cruel lord who wants to see us age and die and then an animal will eat our skeleton some time in the vast future. This is an important distinction to make as we discuss the gross creepo who wants to legally change his age so he can get more dates from Tinder who cited the ever changing definition of gender as his justification. So what’s this fella’s name? 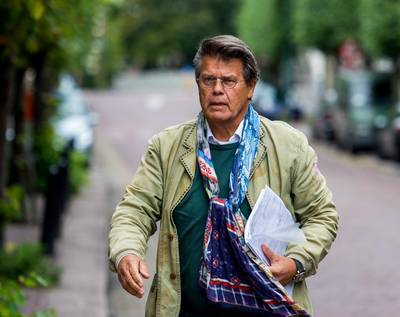 Well, the gentleman is one Emile Ratelband of the Netherlands, and the 69 year old, who was born on March 11th, 1949, and wants that date to be changed to March 11th, 1969 to make it easier for him to buy a house, to get a job, and weirdest of all — to date. What does he mean “An age when we can change your name”? Does he think think that changing your name is a new concept in any way shape or form? But wait, there’s more. Ewww. Again, he’s just asking for legal justification to lie about his age in order to screw people in their 20’s. Blech. He compares it to gender identification, but it just sounds like he’s looking for some perks. Also. Just because it was in the article. This man was in the Dutch dub of Cars 2 as a character named “Vladimir Trunkov”. Cool. What do you think of this nonsense? Let us know in the comments or on Twitter at @WhatsTrending.